The first thing I'll talk about is paper storage. I am a stickler about paper. I hate to waste paper and will do everything to prevent warping and dinged corners. I use a lot of heavy card stock (100 lb+ text weight like Avery Elle, PTI, Bazzill Card Shoppe) and this paper is so heavy that it needs to be stored a certain way otherwise it will bend on itself. Nothing is sadder than a saggy card base. 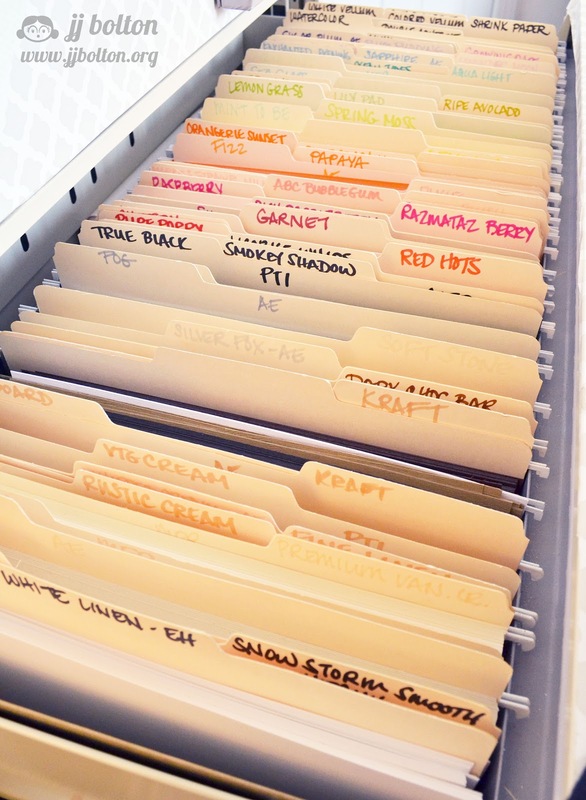 I store this paper 2 ways: filing cabinet in hanging folders or laid flat in a paper rack. Below is a picture of the hanging folders. Below is a picture of my paper rack where I keep my white card stock. Since I converted over to this method, I've had zero problems with warped cards:) For my lighter papers, I do use magazine holders that hold the paper upright, but those papers are usually glued to the card base, so I'm not as worried about bending. For my 12X12 papers, I recently picked up a metal rack made especially for 12X12 paper. Before I got the rack, I had them crammed into a plastic bin like this and I hardly ever pulled them out. It was hard to see and organize, and I could only store a small amount of paper. The new wire rack gives me enough storage (but not too much) and I can organize by color. I'm happy to say, I've been using them a lot more and I have a lot let damage. The racks can be pricey, but I've seen them at garage sales and Craigslist. I got mine from a business closing sale. 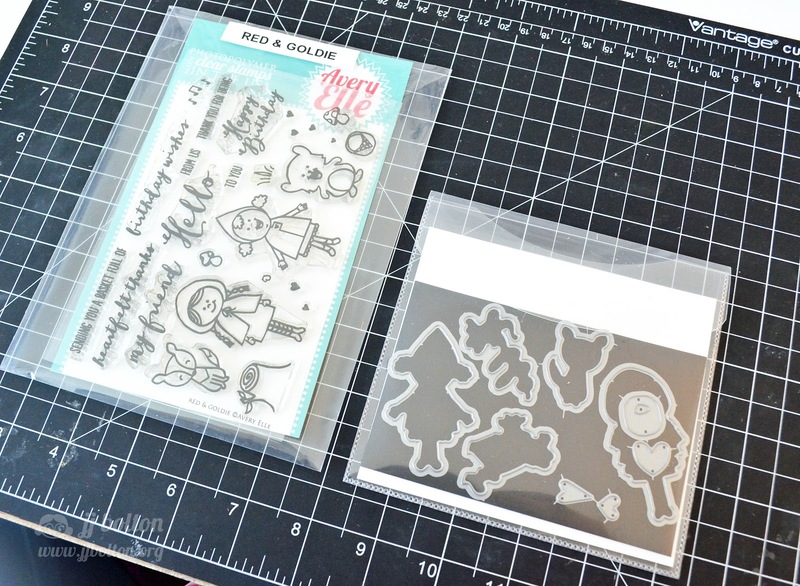 Now let's talk stamp storage:) Clear stamp storage is a hot topic, lol! (Really, it is!) Everyone has their own method but this has really worked for me. I am super lucky to be on the Avery Elle team for many reasons, least of which was being able to get in early with Avery Elle storage pockets! When Jamie first debuted these pockets, I knew they would be a hit. They are durable and for many of us, they work with the containers we were already using (a real bonus!). I have always kept my clear stamps in Ikea DVD storage baskets. They are sturdy, not see through, and were at a price point that I could live with. Plus, they are made to fit the Ikea bookshelves I already had. Lucky for me, they also fit the AE pockets very well! Each stamp set goes in it's own pocket with the original backer sheet (if I have it). The backer sheet keeps things easier to see and you know who the maker is. I recycled some old manila folders to create category separators between the stamps. For all my stamps except PTI, I store by category. I have always stored my PTI sets alphabetically by name, so I kept them that way. Recently, I found some smaller square pockets that are made of the same material as the AE pockets. 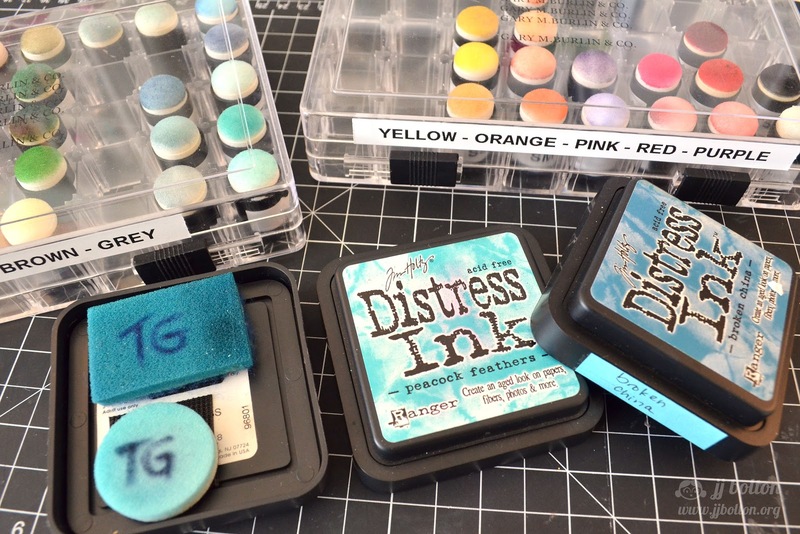 I use them for my small stamp sets and dies. The inside of the pocket is about 4-1/2" square. These square pockets fit into the AE pockets too, so I can keep coordinating stamp/die sets together if I want. Yay for a plan coming together! I try to put a label at the top of each pocket. Keeping it at the top makes it easier to flip through when they are in the baskets. So far I've used this method for over a year and I really like it. I even converted over my PTI stamps which were in the hard plastic CD cases. So much better now! Another issue I was having was storing sequins. Recently, I started using small containers from the dollar store. I think they are about 9 for a $1 (they're in the office supply section). To label them, I taped one sequin to the top of the lid (along with a note on the maker). All the containers live in the plastic drawers on my work table. I love to use sequins and they were getting to be more trouble than they were worth when I stored them in small ziplock bags. 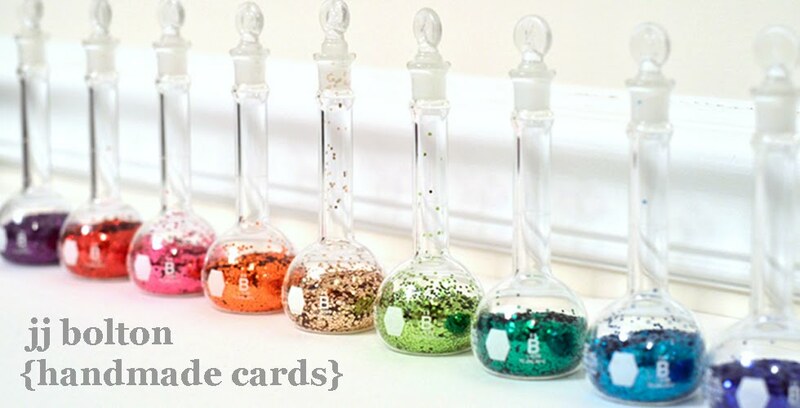 I also tried to use a container like this, but my sequins kept getting mixed up. I still use the container, but now it stores wood veneers which don't seem to get mixed up (no static cling?). 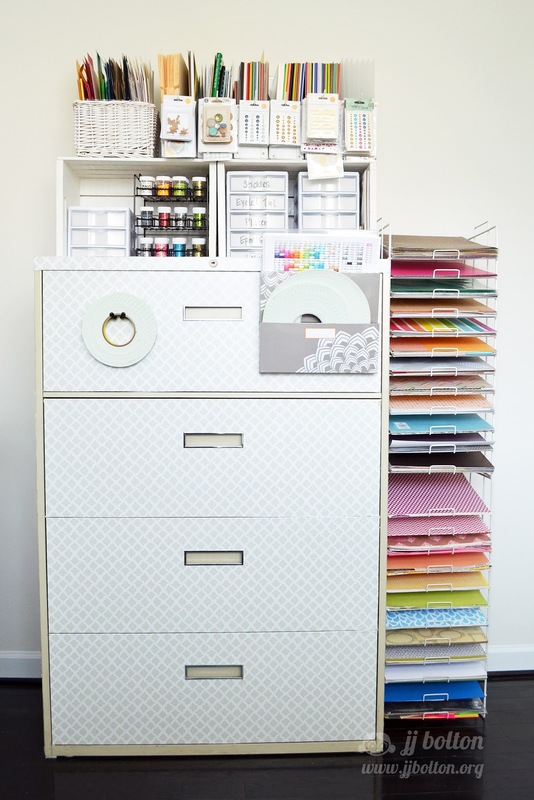 That's it for the craft room talk! I probably bored most of you to tears (sorry!) but there may have been one or two of you who are facing the same issues as me:) Thanks for hanging in there, lol! You've given me many things to think about the last few days. Lots of great ideas, JJ. TFS. 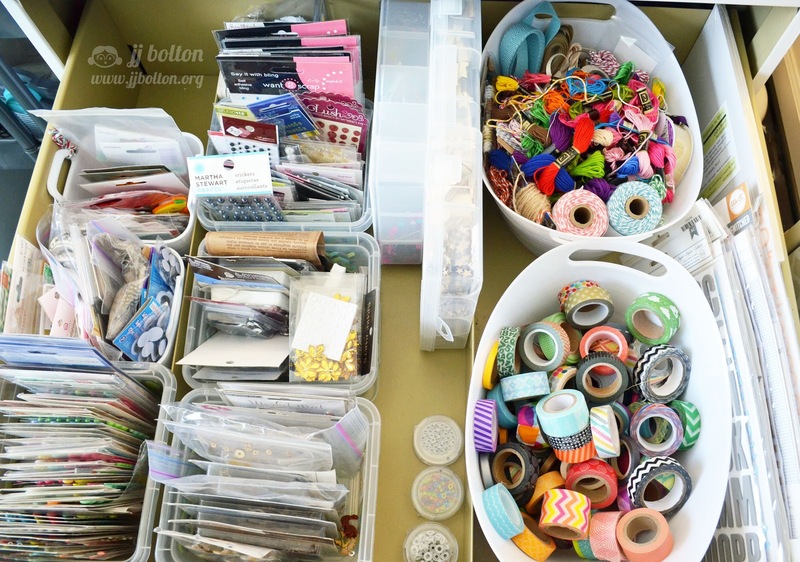 We LOVE posts about craft room organization, and you provided us with some great tips JJ! You lucky gal,coming up with some of those commercial display racks! 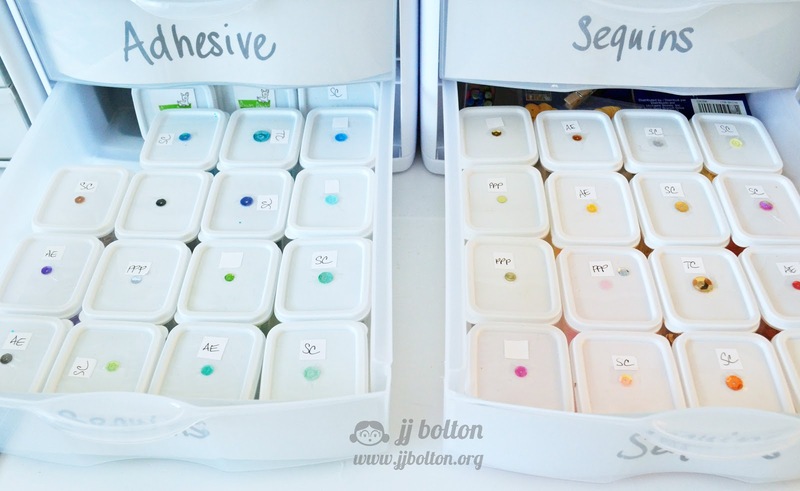 I am inspired to redo some of my stamp storage. Just curious if you have a link for your sponge dauber storage boxes? Mine too are a jumbled mess. I love all the pictures and tips! Thanks so much for sharing your solutions and tips with us. I have a few of those IKEA DVD baskets (not sure if IKEA still sells them though). I have considered using them for storing my stamp sets in the AE pockets, but I was afraid they might not be sturdy enough. 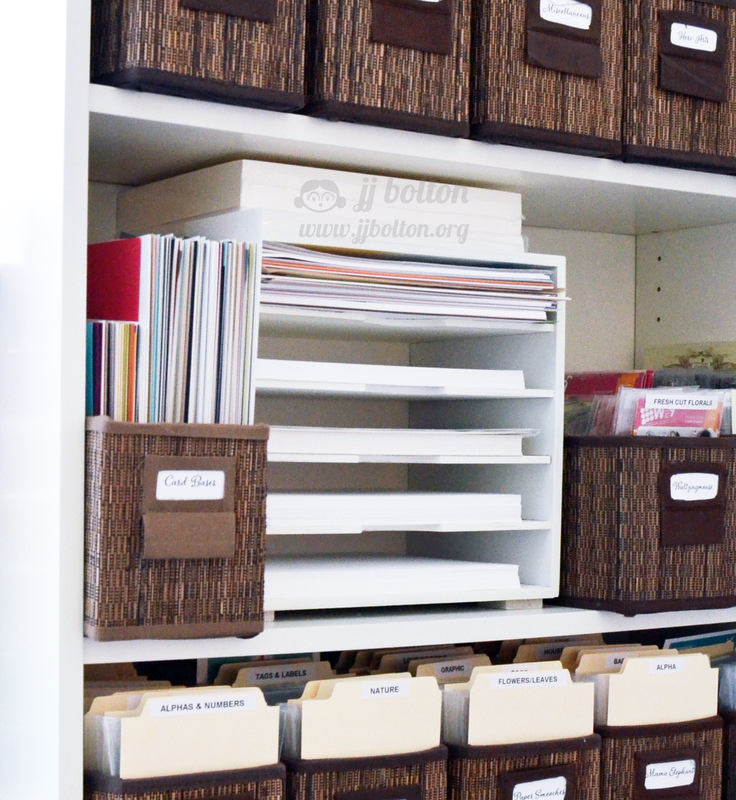 I found that these storage pockets also fit nicely in the IKEA Kassett boxes, so I've started hoarding those for they stack nicely on my shelves and I can use them for a lot more than just stamps and dies. Better order a new supply of these boxes. Unfortunately, we don't have a proper IKEA shop on Crete (the closest one is in Athens), but last year they opened up a kind of showroom store in Heraklion, which is only a 30 minutes' drive away. Haven't been there yet, but I know you can order your articles there after which they will be shipped over from Athens. Love your post! You have wonderful craft space so nice. Now you have given me few ideas to help me out ...especially that paper monster of mine! You amaze me with your craft storage! Seriously, I only could dream of being this organized! lol I like to say I'm organized, but after seeing all this...maybe not so much. ;) I really need to figure some things out and 'update' my little area! ;) Thanks for sharing! Thanks for the amazing peek into your world, beautiful and functional...it's what all we would hope to have one day. Your sequins drawer makes me giddy, I keep mine in a little plastic ziplock bag. Thanks for sharing your gorgeous cards and ideas with everyone. I love looking forward to what you come up with next! WOW! I love all these great ideas. 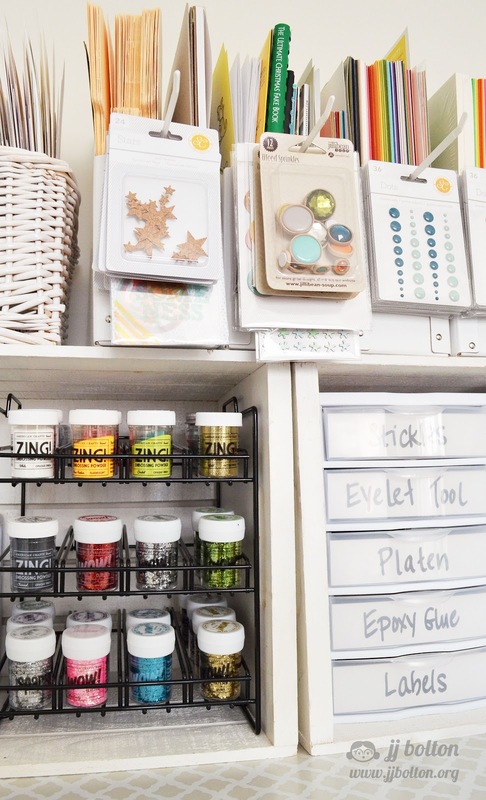 When are you coming to organize my craft space? No boredom here...loved hearing your methods of storage. I read every single word & wasn't a bit bored! Awesome!! 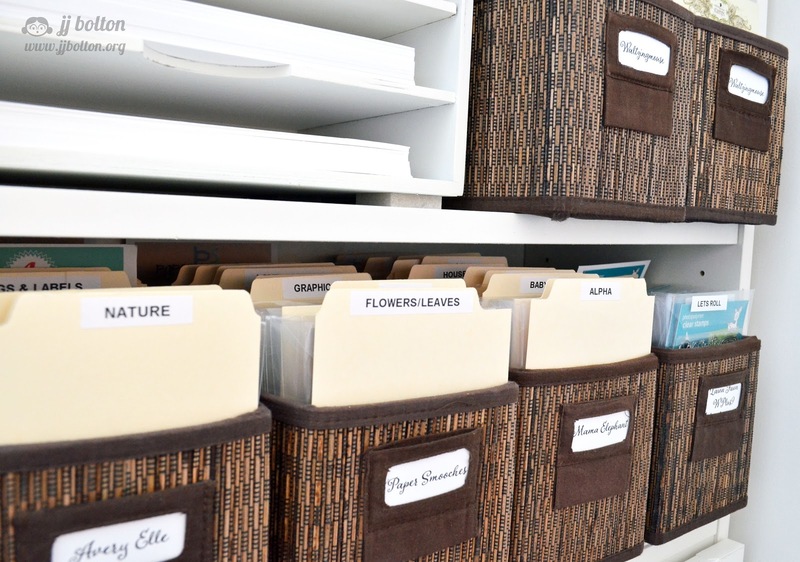 Love your paper storage!